Starting May 19, getting to Chicago’s Chinatown neighborhood will be more complicated than simply stepping off the Cermak-Chinatown Red Line stop. For anyone looking to get to the area via train, the Red Line South reconstruction project will force a reroute to buses, the Green Line, car, bike or other transportation. The project involves closing nine train stations from Chinatown/Cermak through 95th/Dan Ryan. The projected is expected to take five months. While the many areas included in the project are expected to undergo changes once construction begins, Chinatown is likely see to a substantial impact on business, experts and business owners say. During the closure, the CTA will provide an express shuttle bus service between the Roosevelt and Cermak-Chinatown stations, a one and one-half mile distance. Red Line trains will be rerouted to the nearby Green Line. “It’s not going to be as convenient as it was because it was so direct before,” said Irene Tao, associate director of the Chicago Chinatown Chamber of Commerce. According to the CTA, shuttle buses will run 24 hours a day, but those who will need to rely on them are unsure of how well they will serve as a replacement. 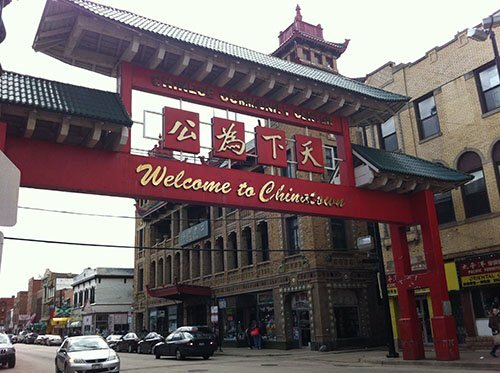 “The traffic could be bad due to shuttle buses … but on the other hand, shuttle buses might bring unexpected visitors that might be from the city but never visit or knew about Chinatown,” said Steven Lu, administrative assistant at the Chicago Chinatown Chamber of Commerce. Lizzie Hinderhan works as a sales supervisor at Hoypoloi, 2235 S. Wentworth Ave. She said she thinks business will depend on how consistent the shuttle buses are. “People probably won’t come if they have to wait for a while them,” she said. Despite their regular customers who live in the area, much of the foot traffic in Hoypoloi comes from tourists traveling from downtown, according to Hinderhan. She said she and many other businesses nearby expect to see a decline once construction begins. Schwieterman said he thinks the project is not necessarily “going to wipe them out,” but it will be a difficult period of time for smaller businesses, especially those that rely on big weekend tourism business. “I think Chinatown is already feeling pain of a flat economy and this is a one kick punch you might say,” Schwieterman said. The project will also require some schedule adjusting for current residents who take the Red Line outside of the neighborhood to school and work. 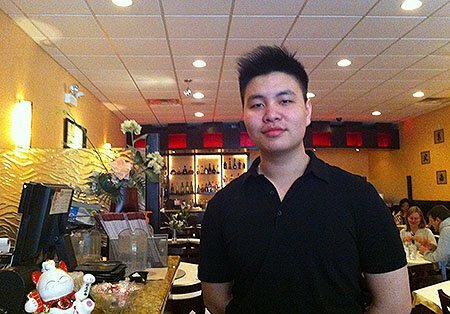 Jun Xu, 18, is a senior at Lake View High School, 4015 N. Ashland Ave., who travels 30 minutes a day to get to school. He said once the construction begins, it will then take him over an hour. construction begins, it will take him more than an hour to get to school.